In an unusual move, US Justice Department secretly obtained two months' of telephone records of journalists working for the Associated Press, an action termed by the global news wire as a "massive and unprecedented intrusion" into how it gathers the news. The Justice Department obtained secret records as part of a year-long investigation into the disclosure of classified information about a failed Al Qaeda plot last year. 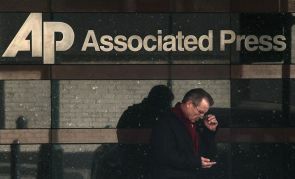 The Associated Press, which is headquartered in New York, alleged the Justice Department obtained two months phone records -- mostly outgoing -- of its several offices in particular those in New York and Washington, and several of its reporters and editors. In a statement, The Associated Press said the Department of Justice notified it on May 10 that it had secretly obtained telephone records for more than 20 separate telephone lines assigned to AP journalists and offices, including cell and home phone lines. "AP is asking the DOJ for an immediate explanation of the extraordinary action and for the records to be returned to AP and all copies destroyed," it said. The news agency termed it as a serious interference with its constitutional rights to gather and report the news. It called the Justice Department's actions a "massive and unprecedented intrusion" into newsgathering activities. "These records potentially reveal communications with confidential sources across all of the newsgathering activities undertaken by the AP during a two-month period, provide a road map to AP's newsgathering operations and disclose information about AP's activities and operations that the government has no conceivable right to know," Pruitt said. "Other than press reports, we have no knowledge of any attempt by the Justice Department to seek phone records of the AP," White House Press Secretary Jay Carney said. "We are not involved in decisions made in connection with criminal investigations, as those matters are handled independently by the Justice Department," he added. "The burden is always on the government when they go after private information -- especially information regarding the press or its confidential sources," he said. "I want to know more about this case, but on the face of it, I am concerned that the government may not have met that burden. I am very troubled by these allegations and want to hear the government's explanation," Leahy said. "I remain concerned about the First Amendment and the targeting of journalists. "I call upon the Attorney General to refresh his memory of the US Constitution. If he cannot find one, I am happy to personally hand deliver one to him," Gosar said.